The IT services consulting firm, which is based in Paris’ La Défense district, is multiplying its expertise to offer its clients highly targeted services. It is extending the scope of its activities by buying well established companies in its sector. It took Thomas Chauchard five years to form the IT services group Noveane, which employs 170 people and has a turnover of 20 million euros. As the majority shareholder, with some members of the management, of the company he chairs in the Paris business district of La Défense (Hauts-de-Seine), he is now reporting 91% growth in four years. “We chose to buy companies that have a reputation in their sector, whose brands we retain, to develop our consulting firm”, summarises Thomas Chauchard. The latest acquisition to date is that of Atexo Conseil. This firm, which is well known to the local authorities for wealth management, public finance and modernising State services, left Paris for La Défense in late September. Noveane is thus managing to increase its expertise to offer highly targeted services to its clients, particularly because its consultants are familiar with the sector. It can therefore co-build its strategic plan with the client integrate solutions to be implemented and anticipate evolving products. Thomas Chauchard calls this pillar “enhanced consulting”. “As recently as ten to fifteen years ago, when the business department of a company had an idea, it would turn to the IT department to find a solution. It’s a long process that is no longer possible, because technology is always progressing”, says the President of Noveane. It’s now the opposite extreme. “A young person is hired and develops a model with a cloud tool and it works until we realise that there are flaws or that the author has left the company”, he continues. 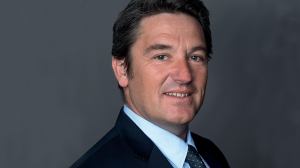 Thomas Chauchard believes that, alongside the giants of the sector, there is therefore a place for groups like his, consisting of complementary companies under one roof. While claiming to have achieved “significant” organic growth, he intends to continue with his acquisitions. He thinks that these two areas combined should enable him to achieve fifty million euros in turnover in two or three years.